Whether you are setting up a new or expanding on an existing home care setting for a patient or loved one, determining the best home care bed, hospital bed, or adjustable bed is a vital component of your preparation. At Vitality Medical, we offer beds ranging from standard and cost-effective to top-of-the-line and deluxe models. Depending upon your specific and individual needs, the following comprehensive analysis can help you determine which bed is best for you. 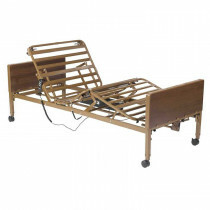 Manual Beds - These beds are a cost-effective solution for patients who may require unique bed positionings, such as inclination of the head, torso, or knees and declination of the feet. Manual beds are not considered "comfortable" but are ideal for temporary use given their price. 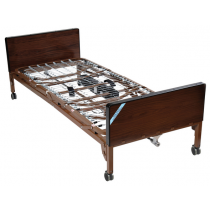 Semi-Electric Beds - Semi-electric beds are a great option for patients that need a hospital-like bed for temporary home use. Similar to a manual bed, the spring platforms are considered to be uncomfortable and are a temporary solution. However, these beds have a motor to electronically control the head and foot sections of the bed, while the height of the bed is adjusted manually. 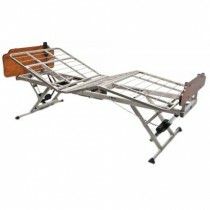 Full Electric Beds - These full electric beds are available in basic and deluxe models. Similar to the manual and semi-electric beds, the spring platforms are considered to be uncomfortable and are a temporary solution. You can move these beds electronically both veritically and into unique positions. 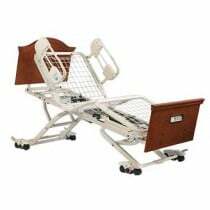 Deluxe Hospital Beds - These beds are top-of-line, incredibly durable, and offer advanced therapeutic options for positioning the patient, such as Trendelenburg and custom angles. Deluxe beds are ideal for long term use, offer ultimate control with positioning the bed and patient, and will extend you or your loved ones superlative comfort. If you are looking for all of the "bells and whistles" or the "best of the best," then you will want a deluxe bed. 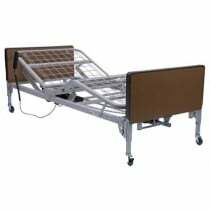 Bariatric Hospital Beds - Heavy Duty Bariatric Hospital Beds are incredibly durable and can safely support a large weight capacity. 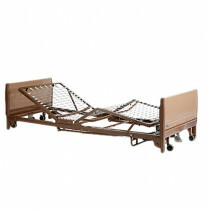 Available in low and standard profiles, bariatric patients find these beds more suitable for entering and exiting the bed. Heavy duty beds tend to be fully electric and offers the most adjustments out of any bed. 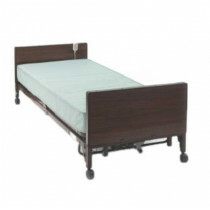 Bed Accessories - We supply a great number of bed accessories, such as rails, overbed tables, wedges, and more so that patients can experience the utmost comfort. Accessories assist with completing your setup, making it more functional and overall enjoyable. Matresses - Depending upon your needs, we offer a wide selection of air bed mattresses, foam mattresses, bariatric mattresses, inner spring mattress, innerspring mattresses, and air overlays. Depending upon your needs, you can select the best mattress to complement your new bed. 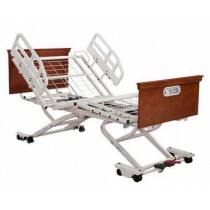 Bed Rails - Bed rails are great for risk fall patients and anyone that needs enhanced safety while in bed. Many bed rails will work in conjunction with and complement hospital and beds. Depending upon your needs, you can select a wide variety of options that will surpass your expectations. 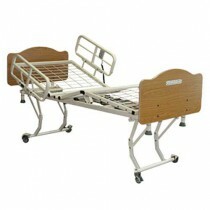 See a full Buyers' Guide for Hospital Beds here. 1. Should I keep the wheels locked or unlocked? You should always keep the wheels locked at all times. Only unlock the wheels when the bed needs to be moved. 2. Should I keep the side rails up, or is it safe to leave them? You always want to keep the side rails up except for when you get in and out of bed. 3. How do I use the bed? Always follow the manufacturer's instructions for operation. 4. Will Medicare cover my purchase from Vitality Medical? Vitality Medical does not bill Medicare or any other 3rd party insurance companies. 5. What should I do if something malfunctions? Vitality Medical is here to support you, as we honor all warranties. Please note that each manufacturer may offer different warranties. If you have problems, please call us at 800-397-5899 and we will assist you.